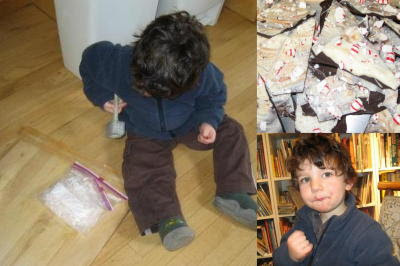 Little Leo and his grandmother, a friend of mine, put my peppermint bark recipe to the test. They used the recipe here. What's not to like -- first you bash the candies, then you get to eat chocolate. Unfortunately the link to the post with the recipe has not been maintained. 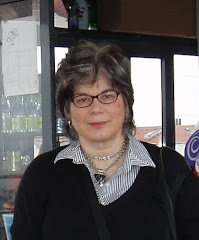 Try this link from the wonderful wayback machine site to see what I wrote. Below is my recipe for the peppermint bark from that post.